No one wants to be labeled as ‘hard-headed’. But there’s no better head protection than an actual hard hat. It’s a worker uniform staple, and one of the few items that can be customized (within reason). Hard hats protect the head from injury while on the job site. However, the history of the modern hard hat started outside of the industrial industry. While many sources claim the true origins of the hard hat, the first official documented hard hat wasn’t ‘hard’ at all. Created by Edward Dickinson Bullard in 1898, the E.D. Bullard Company’s mining hats were made from leather and were used nationwide in industrial job sites. It was his son, a war veteran named E. W. Bullard, who took inspiration from the standard soldier helmet to change the materials his father used. In 1919, Bullard patented a “hard-boiled hat” made of steamed canvas, glue, and black paint and was commissioned by the U.S. Navy to create a shipyard protective cap that began the widespread use of hard hats for industrial work. (a) Employees working in areas where there is a possible danger of head injury from impact, or from falling or flying objects, or from electrical shock and burns, shall be protected by protective helmets. However, this does not mean that workers and managers are required to wear hard hats all the time. This just meant helmets fall under the responsibility of the employer to provide to their workers, and that they should determine which employees need said helmets and more importantly, which type of helmet. Types are the categories of protection from the impact of the injury, but they are separated based on the direction of the expected impact. Type I Hard Hats are intended to reduce the force of impact resulting from a blow only to the top of the head. This form of impact, for example, may result from a hammer or nail gun falling from above. Type II Hard Hats are intended to reduce the force of lateral impact resulting from a blow which may be received off-center, from the side, or to the top of the head. This form of impact, for example, may result from contact with the sharp corner of a side beam. A point to bring up from 1926.100 (b) is that electrical protective helmets are divided into classes, and should be researched to find the appropriate helmet to provide or use on the job site. And within those specifications, the classes are as follows. Class E (Electrical) Hard Hats are designed to reduce exposure to high voltage conductors and offer dielectric protection up to 20,000 volts (phase to ground). Class G (General) Hard Hats are designed to reduce exposure to low voltage conductors and offer dielectric protection up to 2,200 volts (phase to ground). Class C (Conductive) Hard Hats differ from their counterparts in that they are not intended to provide protection against contact with electrical conductors. Sometimes companies give you custom headgear to take to work. But for those of you that want a truly personalized look, here are a few reminders of complying with OSHA while decking out your headgear. Do not store objects between the suspension and the shell of the hard hat because they may affect the protection capabilities of the unit. Prolonged exposure to sunlight will degrade most plastic shells. Do not store them in direct sunlight when not in use. If the hard hat has sustained an impact, dispose of it immediately, even if the damage is invisible. Inspect your hard hat shell and suspension frequently, preferably before and after every job. To provide maximum protection, the hard hat must fit securely on the head and the suspension should be adjusted to a snug fit. 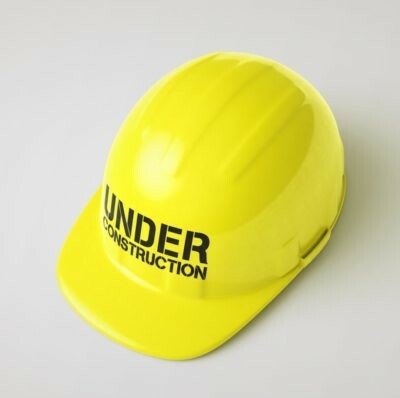 Never alter, puncture, modify, or engrave the shell or suspension of a hard hat. And don’t use a sticker or paint to cover a dent in your hat. It’s not worth it. Remember, the most powerful tool you have on the job site is your head. Use it to keep you safe from injury to work another day.